The boy and I were in Austin recently, just to have a quick getaway from the hustle and bustle of Houston. Before the getaway, I had also done some research (mainly Instagram) on some cool murals located around the city. 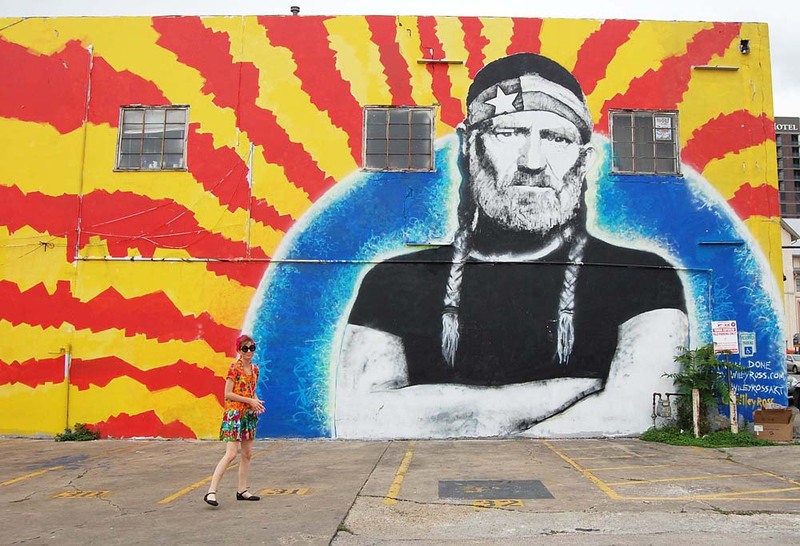 The large “Willie Nelson” mural was done by Wiley Ross, and is located on 7th and Neches in downtown. The “You’re My Butter Half” mural is located on E. Martin Luther King Jr. Blvd and Alamo St. 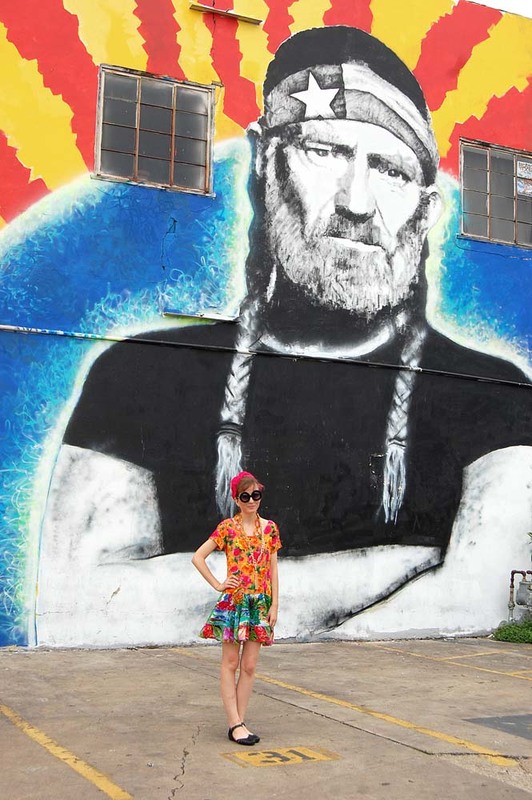 The “Smile” and smaller “Willie Nelson” murals are located on South Congress by Hey Cupcake!. I’m sooo loving this post and that DRESS! It’s definetely giving me life. Can I come and play in your closet? I am seriously obsessed with murals!!! I also love your outfit. So bright and fun. So cute! 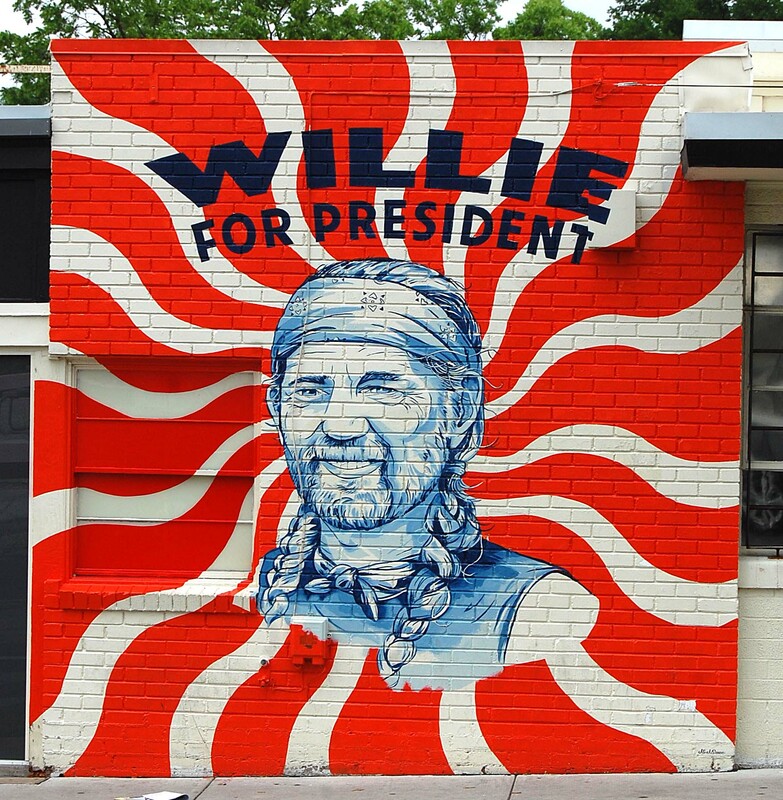 I love Willie! 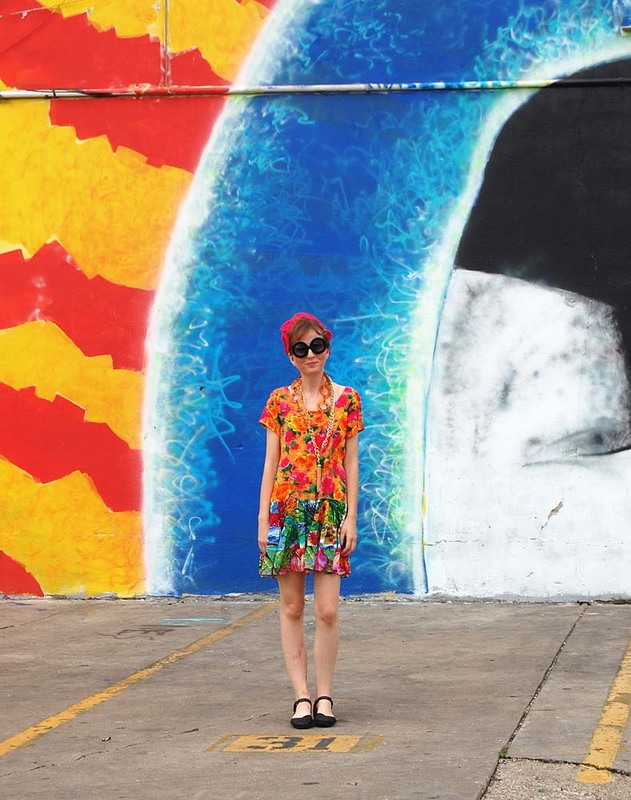 I’ll have to make sure to visit this mural if I’m ever in Austin! Ok so number 1, I love this dress! And number 2 these walls are awesome. My favorite is the first one with the butter half! hahaha I will have to look for these the next time I’m in Austin! Heather you’re literally like a walking piece of art. I love so much about your style and totally give you SO much credit for finding such great vintage pieces. 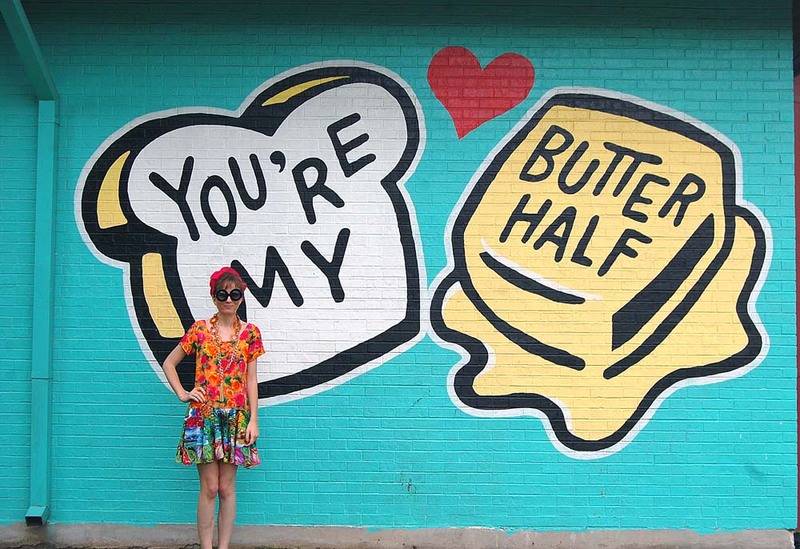 I love the butter half mural! These are great! What an awesome shoot! Those murals are amazing! So cool.